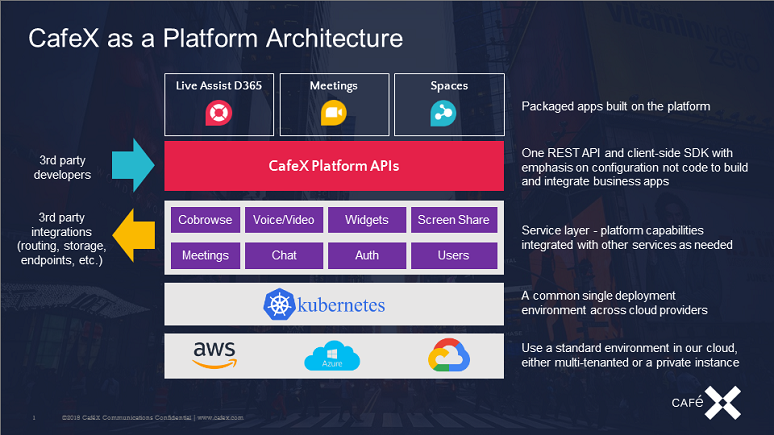 CafeX Communications today announced the CafeX Engagement Platform, a communications platform-as-a-service (CPaaS) for enabling embedded communications. This introduction marks a pivot toward the cloud model and SaaS for CafeX, as I learned in a No Jitter pre-briefing. In fact, expect all CafeX solutions to be cloud-delivered moving forward, Sajeel Hussain, chief strategy officer at CafeX, told me. 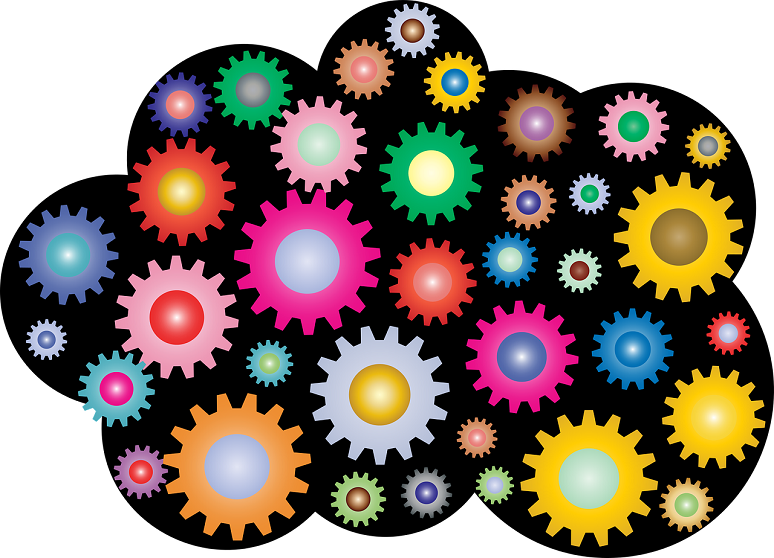 “But this is not just about us going to the cloud,” Hussain said. Today’s release is also about CafeX moving away from standalone apps and shifting toward a focus on embedded communications and a platform approach. With the Engagement Platform, enterprises will be able to embed communications into workflows and mix and match services according to their needs -- all with a single API, he said. This single API is CafeX’s distinction, meant to address the complexity involved with using CPaaS. With this new architecture, as diagramed above, CafeX is aiming to make it very easy for developers to infuse communications services (shown in purple), in a way so that everything is retained throughout the other layers of the architecture. And in an approach that’s different from many of the large unified communications providers, CafeX doesn’t believe that resulting applications need to look and feel like a CafeX application, Hussain said. With Engagement Platform, CafeX also provides a software development kit (SDK) so customers can make styling and design changes with reusable HTML tags they can drop into mobile applications and websites. The SDK also provides access to pre-built but customizable design templates for the user interface. With the SDK, CafeX is following the concept of reusing configurations and code to speed time to market, Hussain added. CafeX’s packaged applications -- Live Assist for Microsoft Dynamics, for CRM; Meetings, for conferencing; and Spaces, for team collaboration – sit on top of Engagement Platform. “We start with the packaged applications at the top and want people to be able to consume our services without the package,” said Kevin Glass, CTO at CafeX. It’s all about flexibility, Hussain added. Numerous customers have already deployed the platform, not only in contact center and customer experience use cases, but also in HR environments and for vertical applications like those for health care and finance, Hussain said. Along with its shift to cloud and SaaS, CafeX said it has adopted a subscription-based model that will be available in a few flavors. Full details on pricing aren’t yet available, however. That should come in early 2019, with Engagement Platform slated for general availability in April.